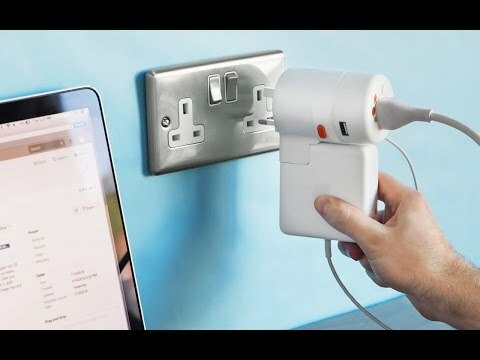 This universal power adapter charges your devices in over 150 countries. With two USB ports and an AC adapter for almost any plug, you can power up three devices at once. 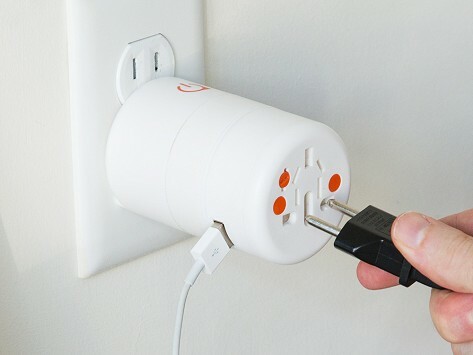 Just turn the base to find the right adapter for your country, and plug in. Dimensions: 3.4" x 2" x 2"